A Series of Unfortunate Events – Season 2 (2018) – What's New on Netflix Canada Today! 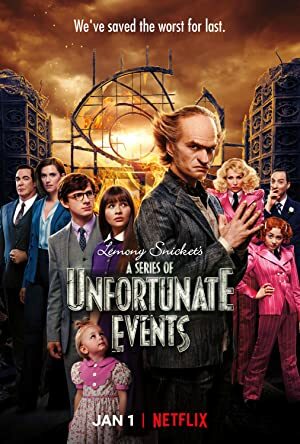 After the Baudelaire parents die in a terrible fire, the Baudelaire orphans search for their families secrets and get them and their fortune away from the terrible grasp of the sinister Count Olaf as he moves with them between different guardians in disguise. Even more perilous predicaments, dastardly villains and brilliant inventions. The siblings return for a second season based on the series by Lemony Snicket.